Michael Myers or "The Shape" is one of 15 Killers currently featured in Dead by Daylight . 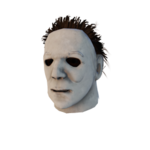 He was introduced as the Killer of CHAPTER II: The HALLOWEEN® Chapter, a Chapter DLC released on 25 October 2016. He originates from the 1978 Horror Movie franchise with the same name, Halloween. The Shape is a haunting Killer, intent on monitoring Survivors from a distance to feed his Power. The more he stalks, the stronger and faster he becomes. His personal Perks, Save The Best For Last , Play With Your Food & Dying Light , select one Survivor to become his Obsession and will trigger deadly effects based on the Obsession Status. His Perks are focused around Obsessions, just like Michael Myers is obsessed with killing, the Killer picks a Survivor, and tags them as his Obsession. Some humans are simply bad seeds. Seeds infused with a distilled and pure form of evil. Michael Myers is one of those seeds. He had no issues with causing the pain of others. Instead, it was exactly what he sought. But even life can be tough on those with minds filled with terror. The difference is just how one goes about to solve those problems. For Michael, he had to kill to find some inner peace. As he took his sister’s life, the police found a silent boy dressed as a clown at the scene. When one stumbles upon a growing fire, one does not pour gasoline on it. But this was an action taken by officials that had no idea how it would shape this demon in the boy's body. Sending Michael to a mental institution was a feeble attempt to save the child. Unsuccessful therapy and nightly screams just made him even more introverted and deranged. People hoped that Michael Myers would end up a parenthesis, soon to be forgotten and buried, a failure that soon were to rot away. But then...he escaped. The Kitchen Knife is the Shape's primary weapon. An oversized blade with devastatingly sharp edges. 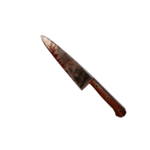 If he gets a successful hit on a Survivors , the attack cooldown animation is the Shape examining his knife. While in Evil Within III, he'll hold his knife upside down. His special ability is called "Evil Within", a 3-tier gauge which affects the Shape's ability to hunt differently for each respective phase. The Shape can stalk survivors, which fills up his current Evil Within phase. The Shape gains pure benefit from going up Evil Within stages, with the exception of his terror radius, which increases for each stage. Any survivors currently being stalked will be highlighted brightly, and more than one survivor can be stalked at once. Survivors that are hiding in foliage (corn, grass, shrubs, etc.) or are breaking line of sight will either delay or stop The Shape from gaining any points from stalking them. Tremendously reduced Terror Radius (6 metres). Slightly reduced Movement Speed (105 %). Grants immunity to detection Perks. Moderately reduced Terror Radius (16 metres). Normal Movement Speed (115 %). Slightly increased Vaulting Speed (1.5 seconds). Normal Terror Radius (32 metres). Lasts for 60 seconds (default). Moderately increased Vaulting Speed (1.3 seconds). Upon reaching Tier II, The Shape can never fall back to Tier I. 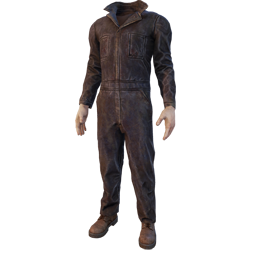 The colour of a Survivor's Aura determines how much evil is left in them (ranging from white/full to red/empty). Each Tier of Evil Within requires The Shape' to gain 5 points from draining evil from the Survivors. The amount of total evil available in a Trial (n points) is independent to how many Survivors load into the Trial, the evil is always evenly distributed across them at the start of the Trial. Assuming all 4 Survivors loading into the Trial, each Survivor carries enough evil to be equivalent to n points. 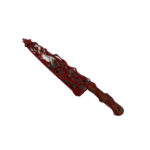 The Shape's stance or posture changes with each Tier of Evil Within and is also affected by certain Add-ons and Perks. 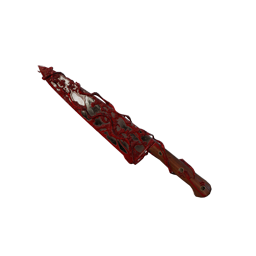 A watchful Survivor can use this to their advantage, to be warned of potential danger. Add-on A standing portable vanity mirror in perfect condition except for a fine layer of dust and face powder covering it. Evil Within II stance remains the same as the Evil Within I stance. Add-on A large and heavy granite tombstone stolen from Mt. Sinclair cemetery, belonging to Judith Myers. Each Token increases how much he clenches his left hand into a fist if he's in a stance that features a relaxed left hand. There are currently 3 Achievements related to The Shape. It is practically impossible for every Survivor to hide from you well enough to the point where you cannot stalk them enough to get Evil Within II. However, they will do their best to slow it down and make it as difficult as possible. Note that on Coldwind Farm, the corn will shield Survivors from stalking, even if they are visible normally. An exception is if you stalk from a high ground, and a Survivor is not crouched - they will be always visible in any nearby cornfield. Note that you can "stock" on Evil Within. Essentially, you can leave Evil Within II on 99 % and you will have a full Evil Within III to use the instance you see a Survivor. When in Evil Within I, your Terror Radius may be minuscule but your breathing can be heard well before it. 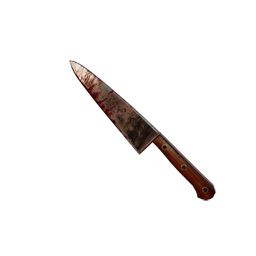 Many experienced Players will be wary upon starting a match, and will be on the lookout for Killers in the distance. A way to mitigate this is to stalk Survivors behind cover, or on high places. Such examples are behind trees, on top of hills, on top of buildings, etc. Though it won't guarantee to stop them from noticing you, it is far better compared to walking up to a fairly close distance and watching them out in the open. The Shape is ironically one of the easiest Killers to spot, as his near fluorescent white mask is very distinguishable. Survivors often try to hide behind Pallets , but you can still stalk them. When stalking, your vision is severely tunnelled and your movement speed is reduced significantly. The Teachable Perk Shadowborn will increase your field of view, making stalking slightly easier. The Teachable Perk Monitor & Abuse will increase your field of view when you are not in a chase, making stalking slightly easier. It will also reduce the Terror Radius in that situation, making sneaking up very easy. Stalked Survivors' Auras will slowly turn red the more evil is drained from them. Once a Survivor has been drained of all evil, they can no longer be stalked. The Shape's middle name is Audrey. The Shape is the first Killer to be introduced as paid DLC. The Shape is the first killer in a paid DLC that can be accessed without paying - using the Black Splinter offering. Michael Myers was the murderer featured in the Halloween horror franchise. In the first film, he kills his older sister and is sent to a mental hospital for almost two decades before escaping, only to return to his hometown on Halloween night and begin hunting the friends and family of Laurie Strode. 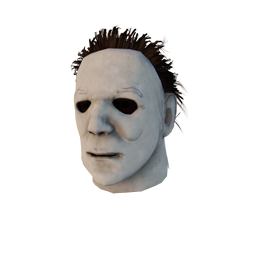 Michael's in-game name is a reference to the original 1978 Movie. During the credits, the role of "Michael Myers" is instead credited as "The Shape." The Shape's Stain is invisible at Evil Within I. The Shape is the only Killer with the ability to vault through windows faster than any other Killer. He vaults in the standard 1.7 seconds in Evil Within I, but in Evil Within II, he vaults in 1.5 seconds. In Evil Within III, he vaults in 1.3 seconds. With the Perks Fire Up and Bamboozle, The Shape can vault windows in just 0.923 seconds. The music that plays when The Shape reaches Evil Within III is from the movie Halloween. When Survivors are being stalked by The Shape when he is close to the next Evil Within Tier, Survivors will hear a remade version of The Hedge, which incidentally plays in the film whilst the protagonist Laurie Strode is being stalked. The Terror Radius music that Survivors hear when near The Shape is a remake of the original Halloween track, The Hanger. The in-game track is unreleased and locked in the game files, data-miners have released it recently on the Steam Forums. In Evil Within I, it is only 6 metres. In Evil Within II, it is 16 metres. In Evil Within III, it is the standard 32 metres. The Shape has a small animated trail behind his knife when he swings. In Evil Within III, The Shape lunges for 0.2 seconds longer than when in Evil Within II, giving him the longest lunge in the game. In Evil Within I and II, The Shape holds his knife to his side, whereas in Evil Within III, he holds his knife up to his shoulder with the blade pointing outwards. In Evil Within III, The Shape's knife is in the way of the Stain, and occasionally reflects its red light. The Shape's breathing is slightly different to how it is heard in the original film. The Shape's Memento Mori is possibly a reference to how he kills people in the original film, as he often grabs people by the neck and either stabs them or simply suffocates them. The Shape, in terms of appearance, is the cleanest Killer apart from a blood stain on his left shoulder and on his knife. The Shape is one of three Killers that can instantly put Survivors into the Dying State without any Perks or Add-ons . The other two Killers being The Hillbilly and The Cannibal . 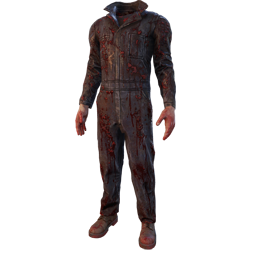 The Shape is one of the few Killers whose default head skin is not named after the Killer's name. The Shape was the second Killer to wear a face mask. The Shape's left eye can be seen through his mask in the menu. Under certain lighting conditions, both of his eyes are visible through the mask. The Shape is the only Killer right now to have Add-ons that grant him the ability to kill Survivors. The Shape was the first licensed Character alongside Laurie Strode. 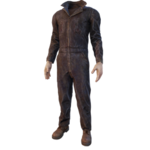 The Shape is one of the most human-looking Killers in the game, as he doesn't have any unnatural alterations to his appearance like most of the other Killers. Evil Within I: His arms are down and close to his torso. Evil Within II: His arms are more spread out to his sides. Evil Within III: His right arm is raised above his head with his knife pointing down in a stabbing manner. Back in the days, if you were stalking Survivors and nearing the limit for your current Evil Within Tier, all Survivors being stalked would hear an eerie audio cue a few seconds before the Tier ascends.